“It’s not as if there are no jobs, everybody wants to be in Accra, Kumasi and Takoradi. They don’t even want Cape Coast and they all prefer teaching hospitals.Those who have refused to take up the placements are in Accra doing locums (a term used by practitioners engaged in part time jobs in private hospitals),” he lamented. Expressing the GHS’ determination to follow through the new policy of advertising vacancies for qualified health workers to apply, the DG urged parents to allow their wards “explore the profession” and practise anywhere they were posted to pick up the needed experiences to enrich their career and promote healthcare delivery in the country. Dr Nsiah-Asare made known the intentions of the service to partner some private entities in establishing doctors’ flats across regional and district capitals to accommodate practitioners as the various Metropolitan, Municipal and District Assemblies (MMDAs) also initiated strategies to attract health workers into their jurisdictions. “We are working at differential payments for health workers in deprived areas and the urban areas, we may also look at the need to pay workers on number of hours spent at health facilities and also ensure that for any doctor to qualify for a postgraduate course, he or she must have served in at least one rural area,” he noted. Minister of Health, Kwaku Agyeman-Manu in a speech read on his behalf shared similar sentiments with the DG of the GHS saying, “we do not have the right numbers and the right mix of skills and expertise in our districts and rural areas. 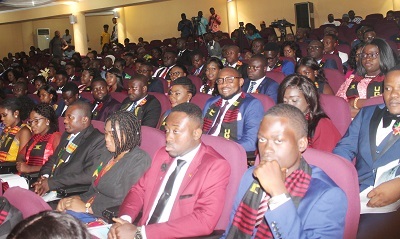 I wish to encourage new doctors to accept postings to accredited district hospitals where your services are most needed especially during your second year of housemanship,” he urged. The post Doctors’ refusing postings to north…undermines universal health coverage appeared first on Ghanaian Times.